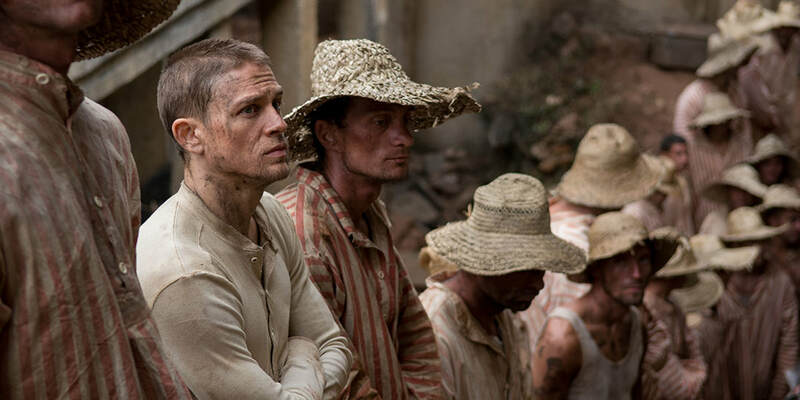 A movie review of ​PAPILLON. Why a remake now of the 1973 Steve McQueen prison escape flick? Is it because filmmakers have been watching documentaries like Werner Herzog’s INTO THE ABYSS and ON DEATH ROW, and Ava DuVernay’s 13TH? Among many other topics, they talk about the problems of the current prison system: Its use as a modern form of slavery, its privatisation, and how entire communities’ economies are built around the penitentiary business. Recent HBO TV show THE NIGHT OF looks at what incarceration can do to the innocent while awaiting trial. The issue of the inequality of bail has been raised on social media. Discriminatory and draconian sentencing is continually being discussed. ​Both the 1973 and now the 2017 version of PAPILLON are based on Henri ‘Papillon’ Charrière’s memoirs in a French penal colony. PAPILLON’s most basic question for its audience: Are the punishments proportionate to the crimes? Criminal justice has a three-fold purpose: Deter, punish and rehabilitate. However, in 1930s France more than one layer of chastisement is heaped on: Deportation to French Guiana, prison, prison labour, and once the sentence is completed to spend the same amount of time in the Latin American colony. Even the socially right wing will surely balk at the mercilessness and brutality on display? Human weakness and prejudice aside, what happens when there is corruption undermining the integrity of the justice system? ​Paris, 1931, no terrible French accents are thankfully offered from an international cast. (Think 1980s British sitcom ‘ALLO ‘ALLO!) However, there is a hyperactive annoying jazziness to the intro. Safe-cracker Henri (Charlie Hunnam) is framed for murder and given a life sentence. Not a law-abiding citizen, and interesting therefore that the protagonist is not presented as morally wholesome. Deserving censure, but not this (according to what little we know of his backstory from the films). Henri is not permitted to remain in France for any appeals. Frothing with words of vengeance, PAPILLON avoids the revenge subgenre. The ordeal we will witness him go through is about endurance and survival. Could you withstand the mental and physical abuse? Henri needs money for bribes to escape. 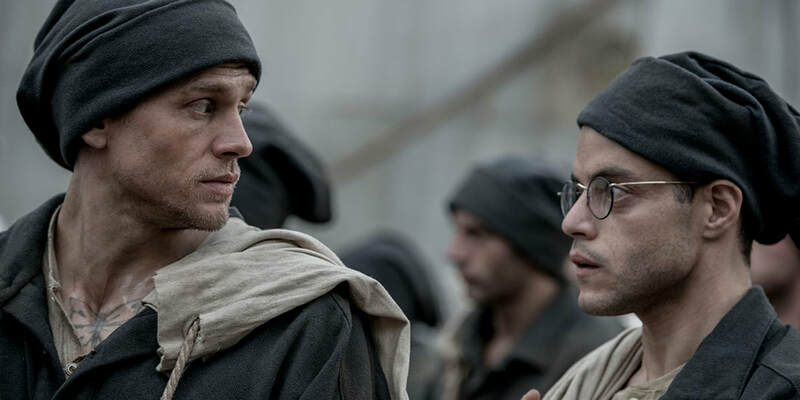 On the way to a new continent across the Atlantic, he spies convicted forger Louis Dega (Rami Malek). At first a business arrangement is made in exchange for Henri’s protection. Their then evolving friendship goes to the heart of PAPILLON. It is a life and death bromance. Avenues for freedom are always on Henri’s mind. We meet sadistic Warden Barrot (Yorick van Wageningen), who outlines the outcomes for those who attempting to abscond. The movie is a hellish glimpse into another world. But there is a major problem with PAPILLON: Beyond topicality, this remake is utterly pointless. It adds little to the original, and actually comes across as less impressive. This is the diet cola version, to mangle quote Dr Evil in AUSTIN POWERS: THE SPY WHO SHAGGED ME. There is continual déjà vu. It is inferior in almost every way.